Luxury Branded: Hello Kristin and Marcus! The Luxury Branded team has been fascinated by Amberlair since we first spotted it. This concept – “The world’s first crowdsourced, crowdfunded luxury boutique hotel” – seems quite revolutionary for the hospitality industry, what exactly is it? Kristin Lindenberg: Put simply, we are gathering a global community of luxury travellers to build the perfect boutique hotels. Using the online input of crowdsourcing and crowdfunding, the guests themselves will be invested in those boutique hotels from the very beginning, not only financially but creatively, too. Marcus Orbé: There are many well-travelled people who share our passion for small, characterful hotels in inspiring locations – and Amberlair’s crowdsourcing process is tapping into that enthusiasm and knowledge. We actually crowdsourced the name first – asked people to suggest two words that would sum up our ambitions: We chose Amberlair because of the sense of a cosy refuge suggested by “lair” and because every piece of amber is unique. 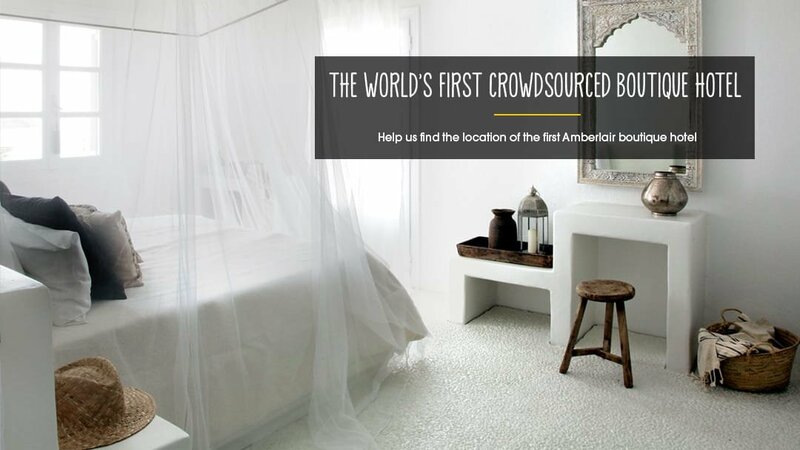 Kristin: The stage we’re at now is crowdsourcing the location of our first Amberlair boutique hotel. We are receiving suggestions, not only of fabulous destinations that are crying out for a good boutique hotel, but of specific sites that have the potential for development. We’ve had a huge variety of proposals – including ancient buildings in Europe, a beach in Africa and even an entire island. Luxury Branded: So, if I had an idea of a location with the potential to be a great Amberlair boutique hotel, what would I do? Marcus: Go to our website – amberlair.com – and, first, sign up to join the community. There are many ways to get involved but if you know about a specific property with potential, go to “Submit a property” and fill in the form to give us as much information about it as possible. Kristin: Right now, we are holding the vote for the country in which we should open. Our #boholover community has chosen a top three: Italy, Spain and South Africa. Next, we will invite people to submit specific sites in the winning country. After we close submissions, we will go away and analyse them. If they pass our feasibility tests, we’ll sign pre-agreements with the relevant parties. Then we will put that final shortlist to another… whichever location receives the most votes will become the first Amberlair hotel. Marcus: And, if yours is the winning submission, you would win prizes such as an invitation to the opening party, plus a free week’s stay at the hotel. Luxury Branded: Tell us a bit about your background. You’re not hoteliers by trade, are you? Marcus: No, but Kristin’s background has been in the tourism industry, ever since her joint Masters in tourism management, urban development and geography. As well as running a major branch of L’Tur in our home town, Hamburg, Germany, she has been a freelance travel writer and an in-house reviewer for TUI group, touring the world, evaluating destinations and assessing hotels. Kristin: And Marcus put his joint MBA and engineering Masters degree to good use in the more nitty-gritty part of travel – the airline business. He worked for Lufthansa for a while, managing essential infrastructure, before taking a senior strategic planning role on the development of the Airbus A380. Luxury Branded: So what led to founding Amberlair? Kristin: Well, in 2010 both Marcus and I decided we had given all we could to the corporate world, and got all we could out of it it. At the same time, we felt that wanderlust so many people feel, and we wanted to explore the world. So we set off on a tour of more than 40 countries across the globe, while we figured out what we wanted to do. I’d dreamt of running a hotel since I was 16, so perhaps that was always going to be the ambition I would want to follow. Marcus: It wasn’t as obvious for me, until Kristin converted me. I really didn’t know this special sort of individual, characterful hotel existed. Like a lot of people, I’d thought that a “good” hotel was necessarily a four- or five-star behemoth. But I’d spent too many nights staying in cookie-cutter hotels on business trips – places that are run and designed the same way, wherever you are in the world, serving the same breakfasts from Berlin to Beijing. It was a revelation when we began to stay in distinctive boutique hotels, run by people who care and welcome you across their threshold like a dear friend. Luxury Branded: How did that love of boutique hotels transform into the crowdsourcing concept? Kristin: We’re like surfers, always on the hunt for the perfect wave – for us it is the perfect boutique hotel. We did find some fantastic places (and, by the way, made invaluable contacts with hotel management and staff who have a commitment to quality and authenticity) but we also discovered that many fantastic destinations just didn’t have one. At the same time, we were meeting fellow global travellers and boutique hotel enthusiasts – both in person and online, through blogs, social media hang-outs and so on – and realised that there’s a lot of experience and insight out there to tap into. Marcus: When we came to write down our blueprint for a boutique hotel, we had lots of ideas but we weren’t getting the concept quite right. When we started to learn more about crowdfunding as a way of raising money, we realised it wasn’t a specific detail we were missing, but the approach we needed to change – getting our future guests to contribute ideas and make decisions about what makes the perfect boutique hotel. Luxury Branded: You must have some ideas yourself about the perfect place to stay. What elements did you pick up on your travels? Kristin: I love a hotel that is designed in sympathy with its location but with a clean, modern aesthetic. 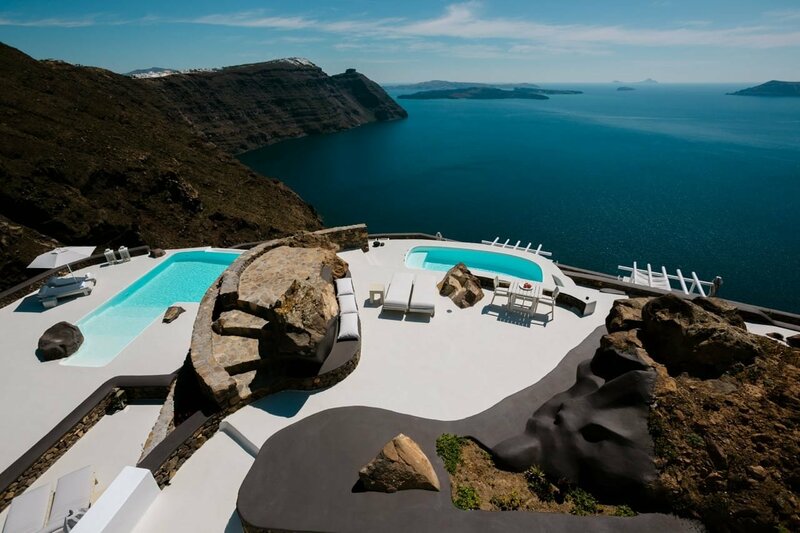 The clifftop Aenaon Villas on Santorini are built in traditional Cycladic style. So much care has been taken and the white walls, furniture and décor all just emphasise the dramatic sea views. It’s all in the details – serving breakfast till late instead of setting a time you have to be up! And sometimes, less is more: I hate huge buffets catering to every international cuisine – serving a few dishes of high-quality, fresh, local ingredients is so much better. Marcus: A really stunning building can be a very strong starting point. Devi Garh is a gorgeously restored 18th-century palace near Udaipur in Rajasthan, India. It has an incredibly serene and relaxing atmosphere. I like it when a hotel is designed with local influence and authenticity in mind. The Inle Princess Lake Resort in Myanmar is one of my favourite luxury boutique hotels. Everything is eco-friendly and handmade from the local village. 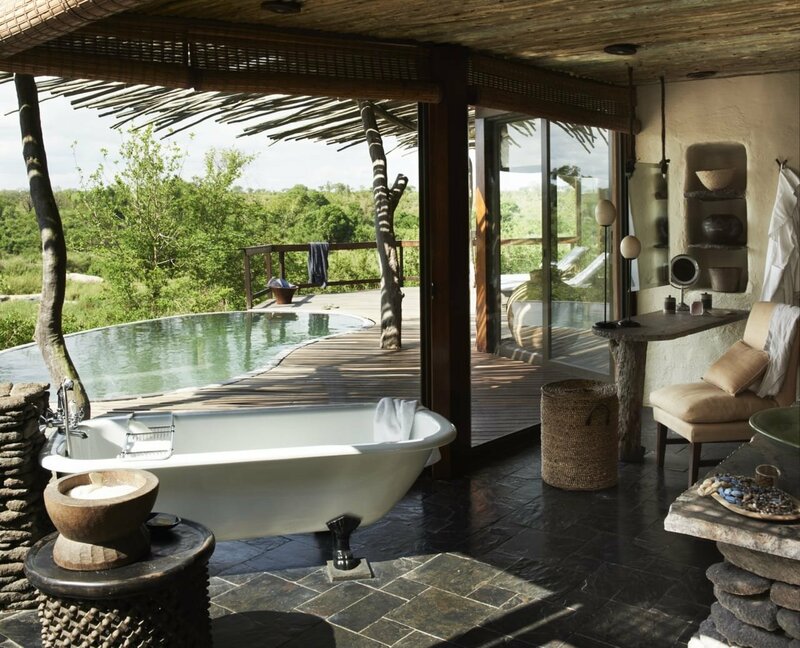 The villas are equipped with an outdoor shower and a chimney fired by organic briquettes. 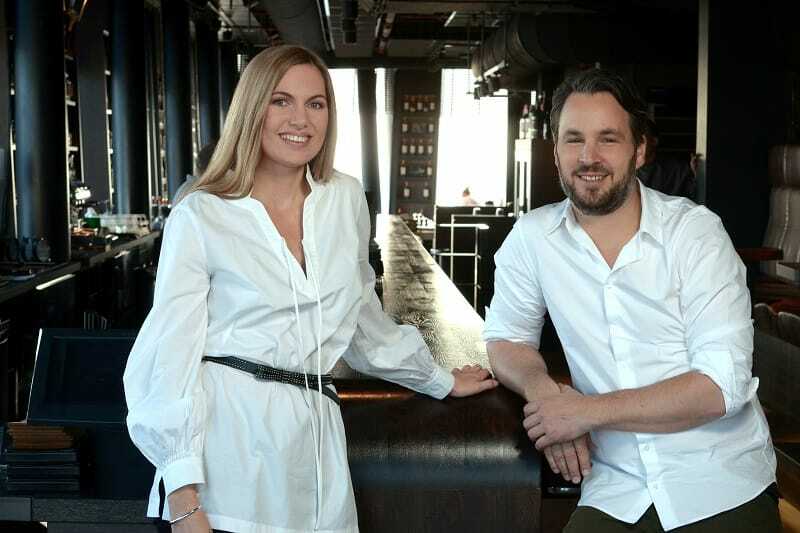 Kristin: One thing that makes a hotel special is original use of space – I like a variety of communal spaces, where you can make yourself at home and just hang out – like they have at Ett Hem in Stockholm. Marcus: I agree – one thing I enjoy is a help-yourself kitchen where you can hang out with other guests. Luxury Branded: What are your observations about the boutique hotel market as a whole? Kristin: For years now, there has been a worldwide phenomenon of bigger chain hotels loosing ground to small, individual hotels and we have a strong conviction that the trend will continue. Where a traditional hotel tries to compromise and cater to every conceivable taste, a boutique hotel is able to tailor a specific fusion of old and new, modern technology and a trip down the memory lane. All sorts of travellers – not only young, affluent types – are seeking an experience, not a commodity. The Airbnb movement is a sign of that, but it’s not always reliable and many people would prefer to have hotel services. It’s just that, if a great destination lacks a good boutique hotel and only offers either a dusty, traditional place or a sanitised, standardised chain hotel, they’ll look for alternatives. Luxury Branded: As well as crowdsourcing ideas, you’re also looking for crowdfunding too? Marcus: When the Amberlair community has decided the location of the first boutique hotel, we will open up a rewards-based crowdfunding campaign. There are so many compromises involved with mainstream investment and we don’t want to give up the power to corporate investors. By inviting Amberlair’s online travel community to invest in Amberlair, we’ll make sure that it’s the guest experience that is always the driving force in decisions. People who are looking for the wow-effect – in terms of stylish design with local influence and personalised high-quality service – can ensure they get that by investing in Amberlair. And there will be great rewards for those who do, which we’ll announce at launch. Luxury Branded: And we understand you aim to keep the crowdsourcing philosophy even after you’ve found the location and raised money. How does that work? Kristin: Yes, further down the line, we will look to find suppliers who share our philosophy of creating an extraordinary and unique place to stay. We will welcome advice and suggestions for every last detail of our hotels: local artisan food and drink suppliers, a designer with an original vision, even the cushions and lampshades. If people sign up to our community, they can be part of our online ideas meetings. Marcus: Again, it is because we trust our fellow boutique hotel lovers, who appreciate luxury and authenticity. There are a lot of people out there with opinions and ideas worth listening to (who better to listen to than our potential guests, after all?) and we are looking forward to them joining us on the journey.